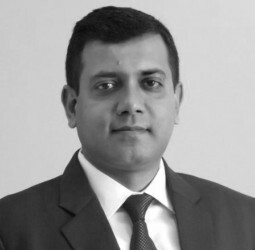 • His articles have been published across all leading tech magazines (PCQuest, Dataquest, CIO, Express Computer, CIO and Leader, ERP Insights, CIO Review, Economic Times and Business World). • He is renowned Cloud / Mobility and analytics key note speaker as well as panel discussion member across all leading digital platforms globally. • He has received 13 awards including CIO100, IDC Insight, Business Impact, Innovative CIO, DQ Analytics and IoT business tech awards. • As true digital platforms leader he has been able to spread all the four pillars of SMAC (Social, Mobility, and Analytics and Cloud) and IoT (Internet of things) creating a new trend in logistics industry. • He has 14 Years exp in IBM including 7 yrs in USA – last position being as Digital Platforms Leader. He has worked in multiple industries including pharmaceutical, telecom and media domains for fortune 500 organizations such as AT&T, Pfizer and Ranbaxy. • He holds executive management degree from Kelly Business School ( Indiana Univ) and BE from NIT Rourkela.